Make it a family affair or the perfect getaway for friends. 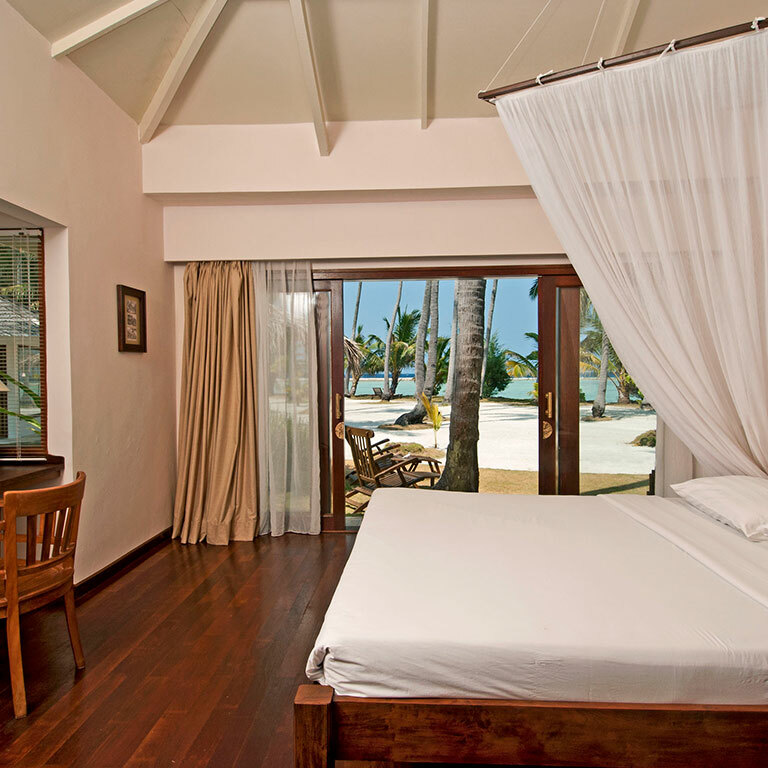 Either way, the Family Pool Villa is an ideal way for a group of four to have their own corner of the world. This 600 sq mt enclosed villa is comprised of twin residences, located at opposite sides of the large pool, and designed to allow couples their privacy while enjoying the company of travel companions. The open-air living room is an elegant blend of traditional rattan and contemporary comfort, fully equipped with mini-bar and cd player. One gazebos is at end of the pool for a plushly padded day bed for lounging, and sun beds are conveniently placed at the other Pool side to enjoy the sun. 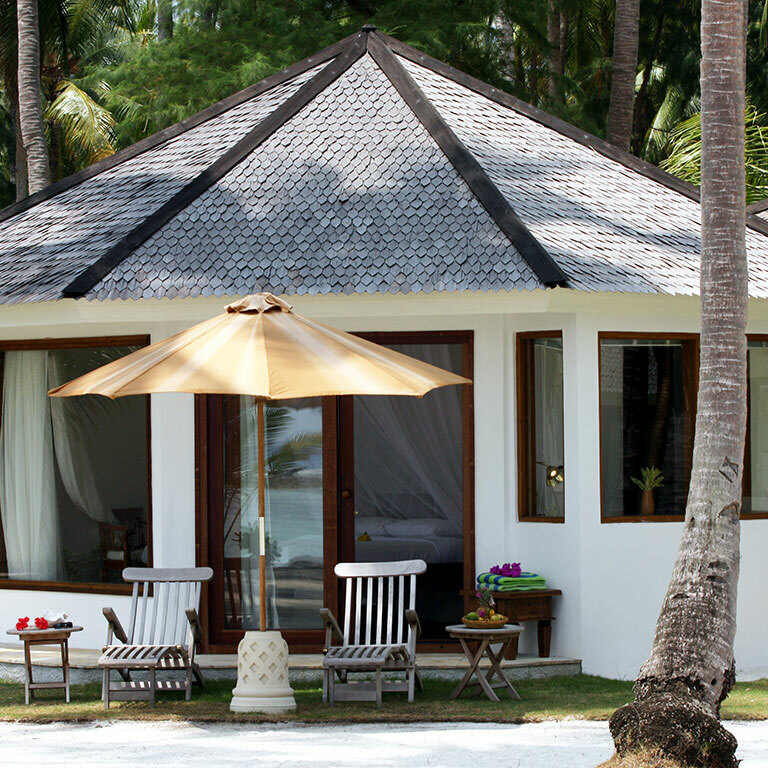 As with the Private Pool Villa, great care has been taken to design the villa with respect for the pristine ecology while embracing the Indonesian villa concept - which, in fact, originated with family and friends in mind in this gorgeous tropical environment. 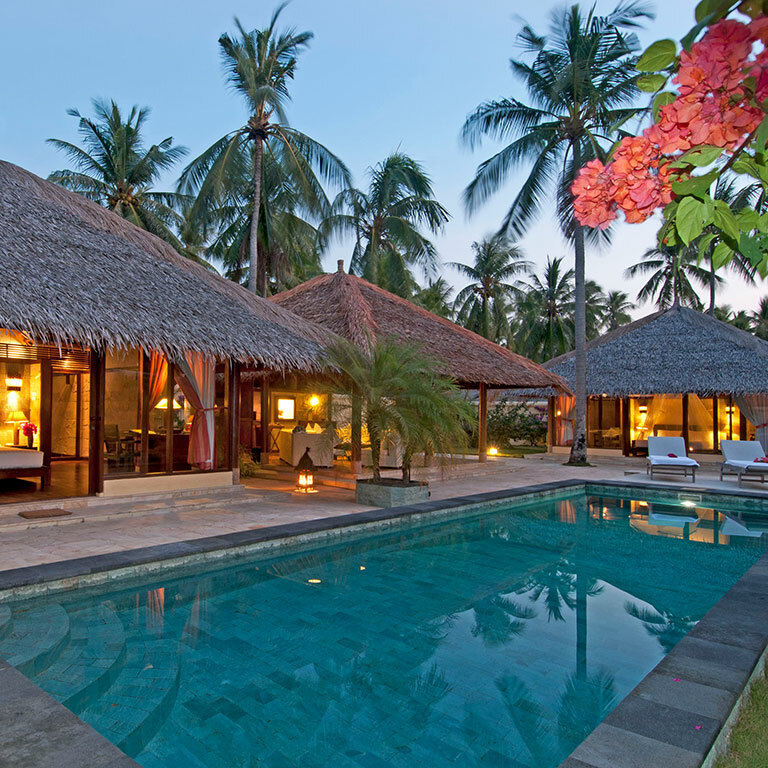 Ninghteen Private Pool Villas which capture the very essence of tropical luxury. 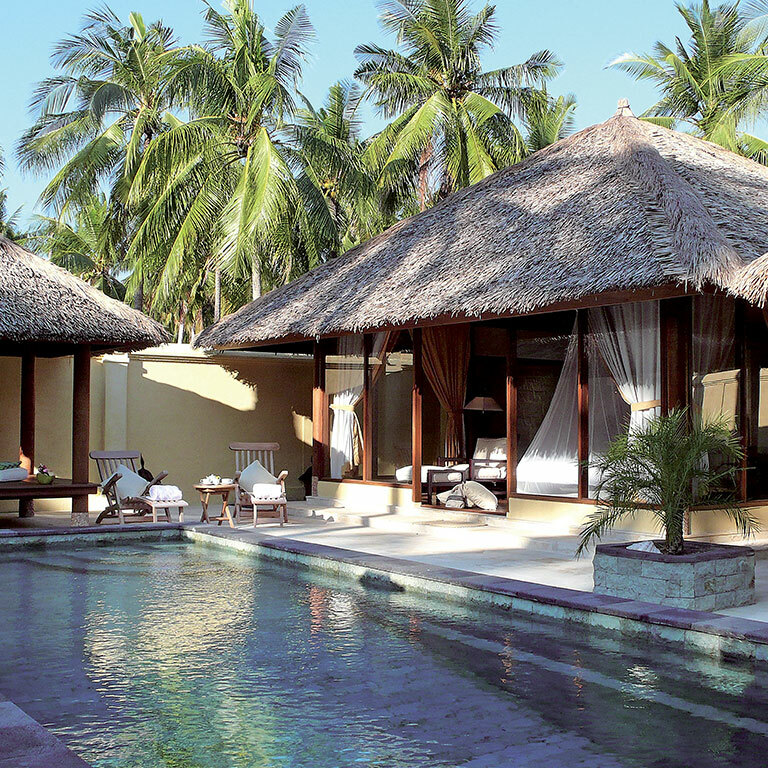 Two Exclusive Family Pool Villas which capture the very essence of tropical luxury. Single unit, 35 sq. mt each. Two units near each other, with indipendent entrance and privacy, 33 sq. mt. each. Copyright © 2019 Kura Kura Resort. All rights reserved.